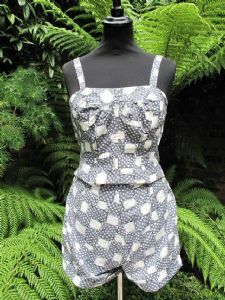 1950's Grey and white printed cotton vintage top and shorts. 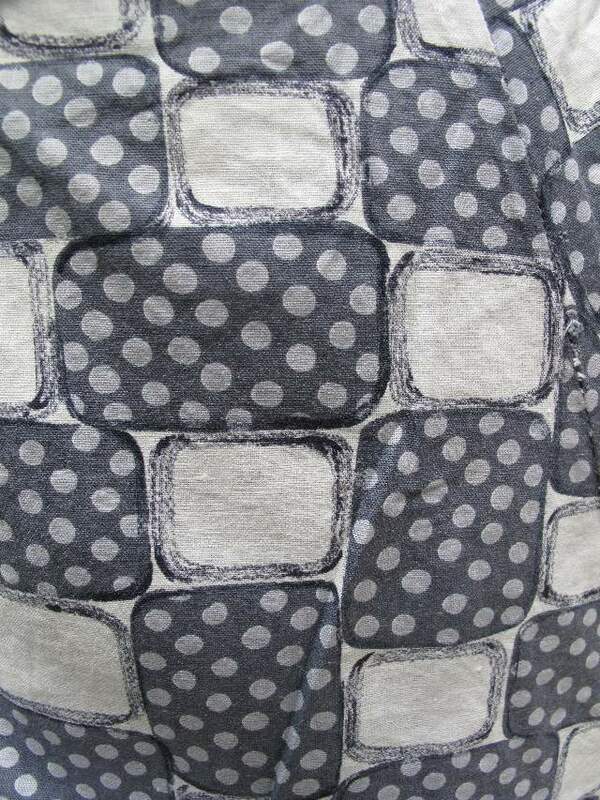 The block print is charcoal squares with pale grey dots and black sketchy oblongs on a white ground. 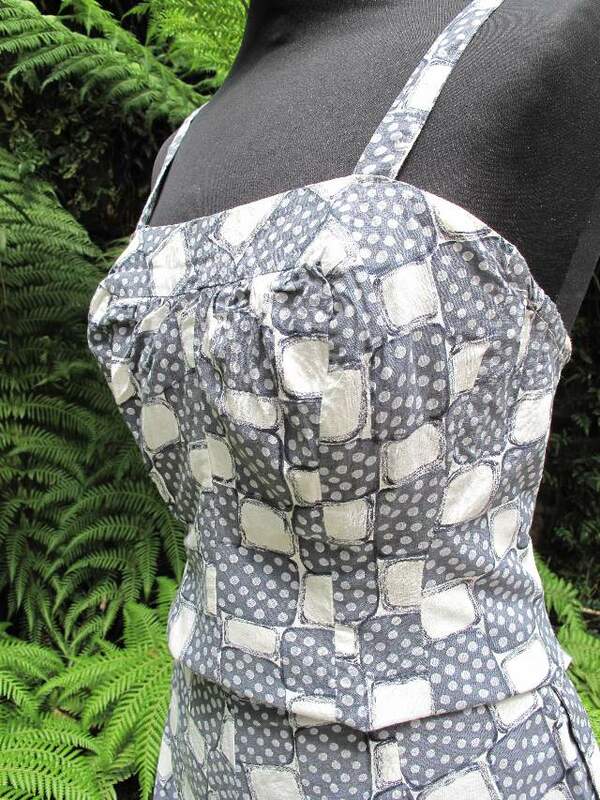 The top has a boned bodice with ruched panel detail, elasticated sides, shoulder straps and back hook/eye fastening. 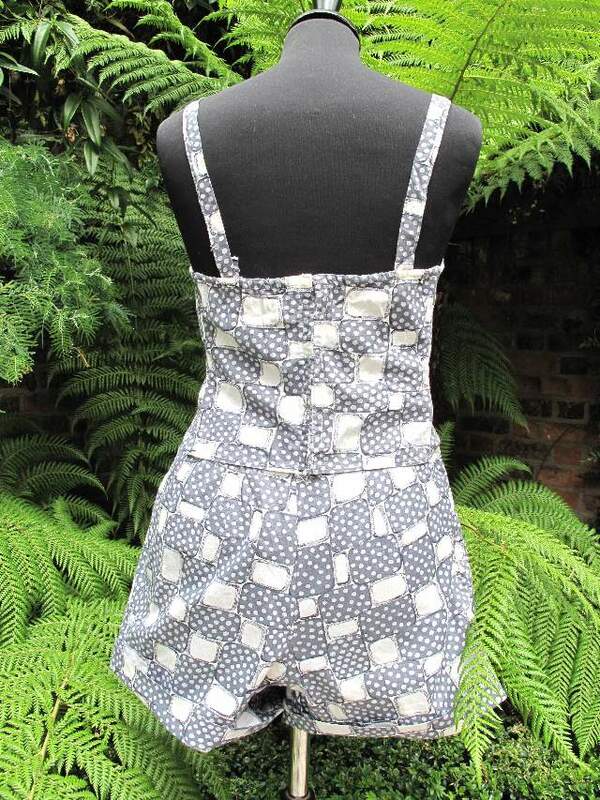 The shorts are a flattering flare cut with side pockets. 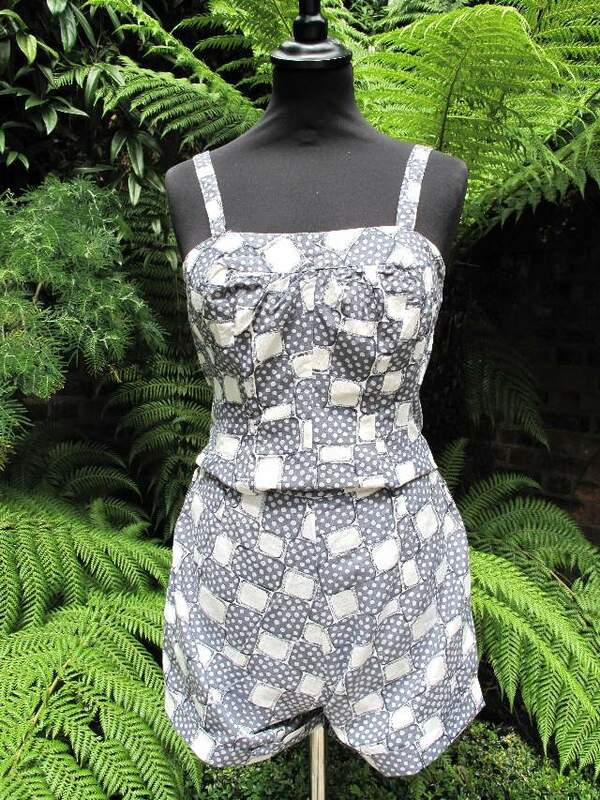 Lovely summer two piece, wear Grace Kelly style with silk scarf, vintage sunglasses and white espadrilles.